The Incredibly True Adventures of an EdTech Trailblazer: College Signing Day in the Library=GR8 Community Relations Event! College Signing Day in the Library=GR8 Community Relations Event! How do you bring traffic into your school library? 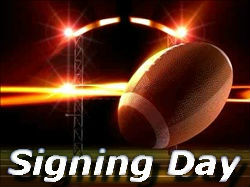 Host events like College Signing Day! This has always been a fun way to bring students, parents, and community members into your school library. Make sure your library displays are stellar and promote the many programs your school library offers. This is also a great time to socialize (i.e. : network) with people who normally do not visit the school library. Talk up your newest/best library programs to help generate buzz. What other ideas do you have for generating traffic to your school library?